The novel drug, MYK-461, proved effective in altering feline heart function in a study of five cats with a naturally occurring form of inherited hypertrophic cardiomyopathy (HCM), a currently incurable disease that also affects people. HCM is the most common form of feline heart disease and results in thickening of the walls of the heart ventricles and altering of heart function. It frequently leads to fatal consequences. Cats with this disease may suffer blood clot formation, congestive heart failure and sudden death. In humans, HCM is a frequent cause of sudden cardiac death that can even afflict seemingly healthy young athletes. 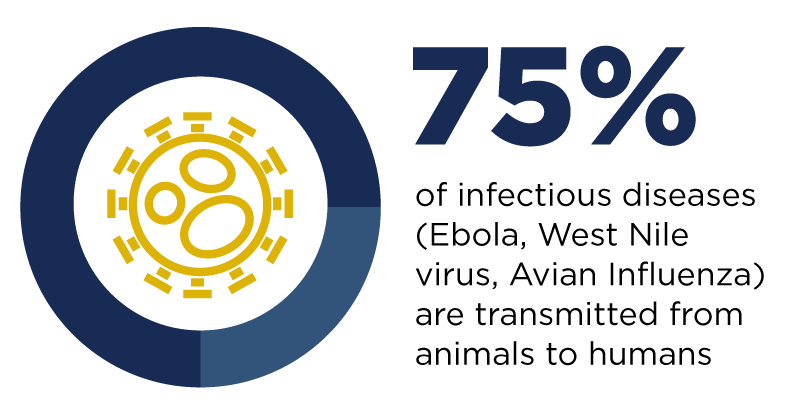 HCM affects approximately one in 500 people and a startling one in seven cats, according to recent reports. Yet current treatment for cats with HCM mitigates only the symptoms, not the causes. There is no preventative therapy for HCM that is shown to change the course of disease. 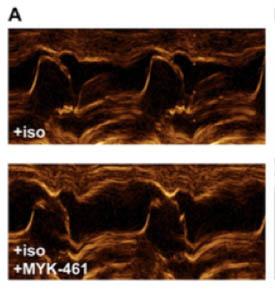 One image of many in Dr. Stern’s published article that shows clearer pathways for blood flow after MYK-461 treatment (bottom panel) in cats with hypertrophic cardiomyopathy. Specifically, in the study, treatment with MYK-461 eliminated obstruction in the left ventricle in five cats with HCM. This means that the novel drug may help keep excessive growth of the heart’s walls at bay — without surgery or interventional procedures — so the heart can pump and blood can flow easily and efficiently. The hope is that because of improved heart function, cats with HCM may enjoy a longer lifespan and high quality of life during that time. Rob Warren writes for the UC Davis School of Veterinary Medicine Dean's Office.